Our contemporary styled modular rooflight is structurally silicone glazed ensuring a complete factory finished, fully watertight product with a high quality, elegant appearance. Unlike traditional ‘stepped edge’ glass rooflights where the outer edge of the glass is exposed and consequently vulnerable to breakage, our rooflights fully enclose the double glazed units within perimeter framework to eliminate this risk. 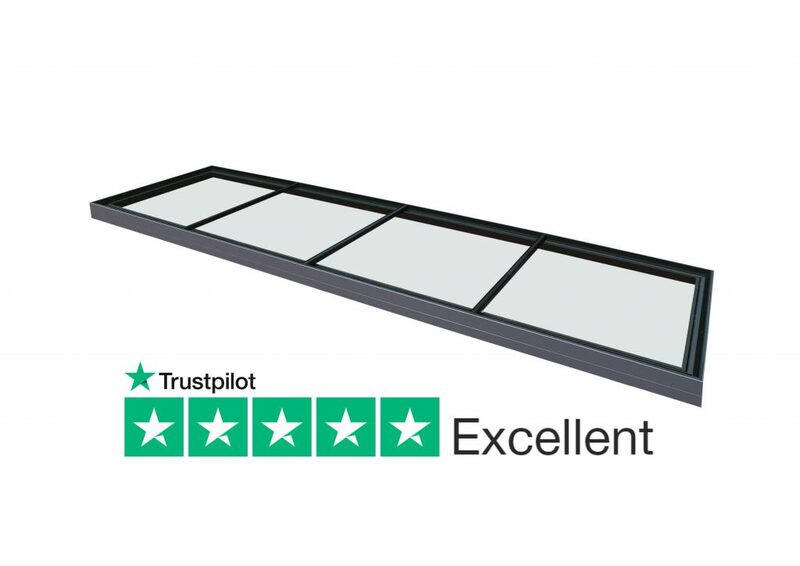 Based closely on our fixedlight design our modular rooflights are fixed and non-opening, fabricated in sections with a silicone joint between glazing sections and therefore can be made to suit almost any length required. All manufactured in our factory by our experienced team of fabricators. Duplus modular rooflights are double glazed in clear toughened and HEATSOAKED safety glass as standard, with options of blue, bronze or grey tinting or if preferred, an obscure finish for privacy or high performance solar control to minimise solar gain (g) and maximise light transmittance (Lt). Our modular rooflights satisfy the thermal performance criteria defined in the Building Regulations and achieve a high resistance to condensation under normal conditions. True U-value and Ud-values are available upon request. The extruded aluminium perimeter frame is powder coated RAL 7016 dark grey matt or RAL 9005 black matt as standard. Other RAL colour options are available upon request.